Ready to start taking advantage of hashtag holidays and social media events? Want to start planning your social media posts ahead of time? 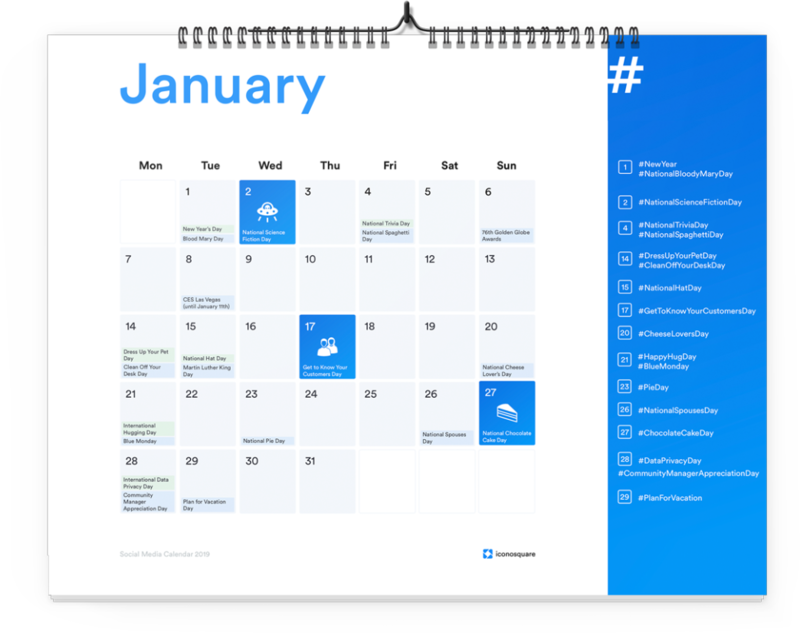 Introducing Iconosquare’s Social Media Calendar for 2019!